Mom and I had an inspired idea while she was visiting, and decided to splurge on some local greenhouse clearance potted plants. They were marked low to move, and the plants were overly abundant in each pot, which made them perfect for sharing. We selected the healthiest looking ones, and hurried home with our loot, where I already had a nice selection of pots, and a bag of good potting soil. Now, seeing as I don't have the greenest thumb, my Mom helped me select some hardy ones that prefer neglect. I'm honestly amazed that I've managed to keep our children alive, yet, have pretty much killed every living plant we've ever had. The whole project was a lot of fun, and we were able to accomplish the task during toddler nap time. 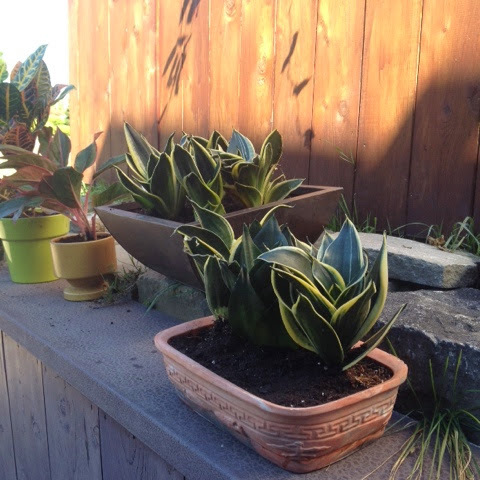 Mostly leafy green plants, in the Sansevieria family. 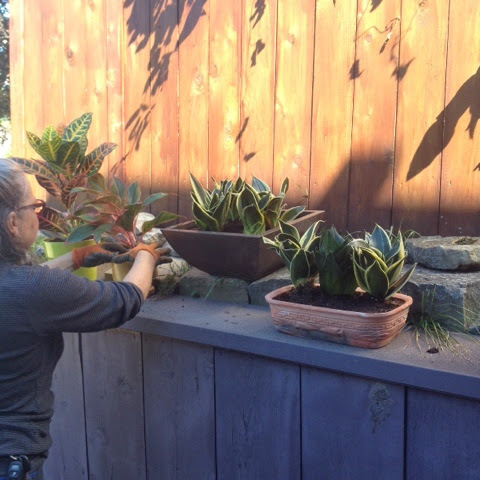 We got to work dividing the plants, which really only requires a steady yet gentle hand. 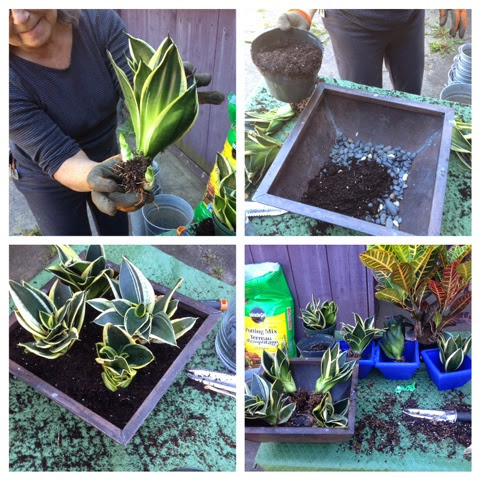 You tickle the roots a little, and then plant them in a pot filled with rocks to help drain, and loosen the potting soil. I think the hardest part was choosing the right pots for our respective decor. I picked some metal pots, a painted pot, and a vintage Danish vase. 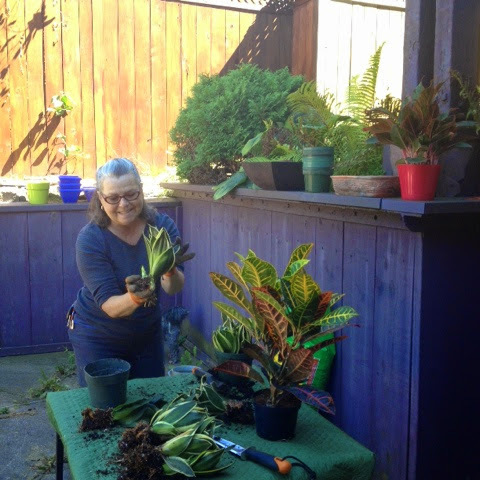 My pretty little Mama busily dividing the plants. "Ooh, look! This one has a baby!" Our lovely array of plants, ready to beautify our homes. I've got to say, this was one fun afternoon activity. And I'm happy to report that every single plant is still alive, and we did these back in August! Ha! Ha! Ha!